﻿Mr. Leonoff was appointed as executive director and co-CEO of Optimal Payments PLC on 1 February 2011 following NEOVIA Financials acquisition of Optimal Payments, and was subsequently appointed as sole President & CEO with effect from 1 August 2011. Mr. Leonoff is an entrepreneurial leader and visionary, with a proven track record, having served as CEO, COO and CFO of private and publicly traded companies. 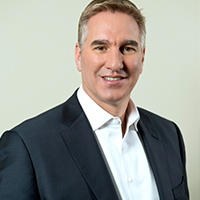 Mr. Leonoff founded SureFire Commerce Inc. (renamed Terra Payments), a Canadian TSE‐listed payments company in 1998, where he served as COO and CFO and as a board member. Surefire Commerce later merged with the Optimal Group to form Optimal Payments Inc., a NASDAQ listed on-line payments company. Mr. Leonoff has also previously served as Group Operations Director/COO of Partygaming PLC, a FTSE 100 Company, regarded as the leading in-line gaming company in the world.